Solid Green’s strong performance at the 2015 Green Star SA Leadership Awards marks its continuing success and expansion. Once again, the company has shown that it is at the top-tier of the South African green-building industry with its work on the Monte Circle Building A building and 6-Star-rated Upper Grayston building in Sandton, Johannesburg. The categories for which Solid Green was nominated and has achieved in are testimony to the excellent service that we continue to bring our clients. In a year where we achieved a record ten certifications, the quality of work that we provide has not faltered. Five years and twenty-two certifications later, we are proud to be recognised by our peers as beings leaders in sustainability. 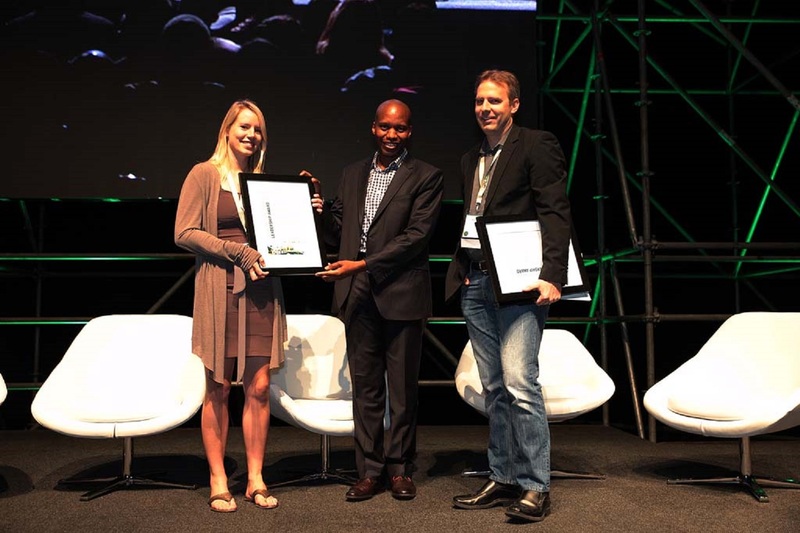 Annelidé Sherrat receiving the award for runner up in Highest Rated Building category for Upper Grayston. In 2013, Solid Green‘s Marloes Reinink won both the Best Quality Submission for the Grahamstown National English Literary Museum and the Established Green Star individual awards. The National English Literary Museum was again recognised in 2014, being awarded the runner-up slot in the Highest Rated Building category. The 2014 awards then saw Chilufya Lombe follow Reinink in winning the Best Quality Submission. 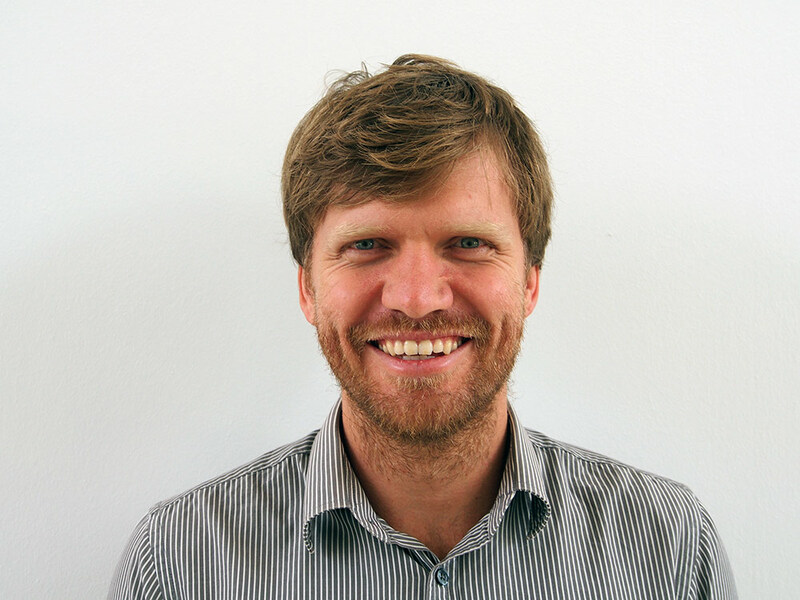 This year, Dash Coville walked away with the Best Quality Submission award for his Accredited Professional work on the Monte Circle Building A development, while Solid Green gained recognition for work on the Upper Grayston Block F building (6-Star Green Star SA Office v1 As Built rated), which was awarded the runner-up slot in the Highest Rated Building category. Dashiell Coville of Solid Green, winner of the Best Quality Submission award 2015. This award is given to the project that attains the highest points in the final rating for the 12 month period under consideration. Hotel Verde, with its 6-Star Green Star SA EBP rating, showcases some of the most advanced, environmentally conscious technological installations, construction methods, procurement and operational practices of any hotel in the country. Hotel Verde, the 2015 Highest Rated Building winner. Our convention this year aimed to Inspire Better Buildings, and this is exactly what our leading building professionals and projects are achieving. Like us, they constantly work towards designing, building and operating better, greener buildings that tread lightly on our stressed planet. These winners are at the forefront of making a difference in the built environment. They are leading by example in the greening and sustainability space. The significant growth in green building is thanks, in part, to the support of our sponsors. Having achieved 100 certifications in April this year, we have been overwhelmed by the commercial property sector’s commitment to sustainability and resource efficiency. Each area is weighted, assigned credits and a final rating (in a percentage score) is given to the building, with 4-, 5- and 6-Star Green Star SA Certified Ratings coming in at 45–59% (Best Practice), 60–74% (South African Excellence) and 75–100% (World Leadership), respectively. There are two stages in the awarding of a Green Star rating: Design and As Built. A Design rating is given after the submission of a design matching relevant standards; the As Built rating is awarded after that design is realised. With such a high rating awarded, Solid Green‘s involvement in the 6-Star rated Upper Grayston Block F is a point of pride for the firm. Photo-voltaic system: Photovoltaic (PV) panels have been installed to meet 15% of the building’s peak demand at top production, with energy drawn from the panels before the mains. Rainwater harvesting, treatment and reuse: Rainwater is captured, collected, filtered, treated and stored. Rainwater is used throughout the building to reduce demand on the municipal supply. A solar-panel system provides hot water. Live metering display: Block F connects users to their energy and water use – providing a means to control that use – including automated billing, so that tenants pay for the resources they use. Green Star SA accredited professional team: The whole professional project team comprises exam-certified Green Star SA Accredited Professionals. 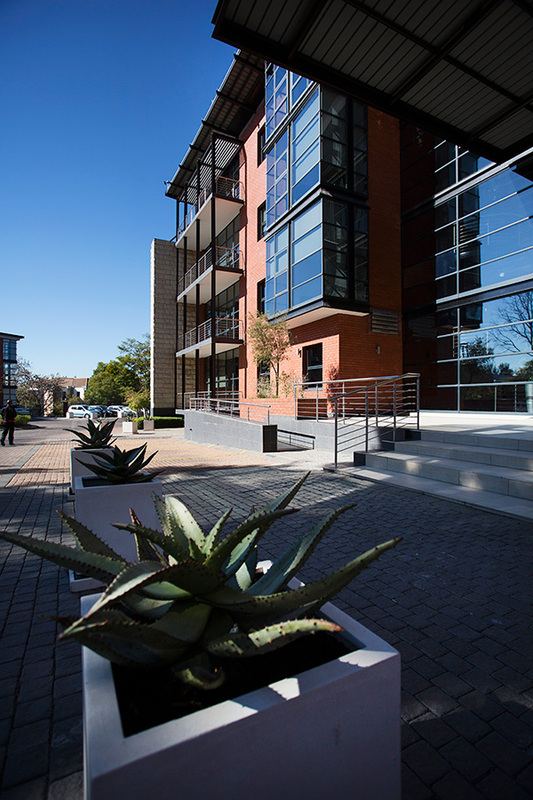 Green Building Cycology Tours: The Upper Grayston Block F is designed around sustainable mobility. Electric bike tours are hosted every Friday – in conjunction with Solid Green, Cycology and the GBCSA.